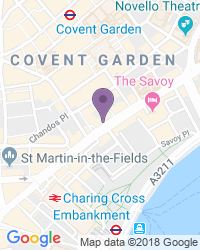 This brand new musical is directed by the award winning Rupert Goold, presented with great pleasure by Stage Entertainment, Glass Half Full Productions and Just for Laughs Theatricals. It’s a cracking musical comedy based on the enormously popular 2010 movie, playing at the Adelphi Theatre from 5th November 2014. Inspired by Richard Bea’s excellent book, the show features music by David Arnold and lyrics by Richard Thomas. Gemma Arterton stars as the Shop Steward Rita O’Grady, with Adrian Gregorian as her husband Eddie, in a tale straight from the heart of 1968 Essex. Rita O’Grady is just one of millions of working women in Britain. But her life is due to change forever when she uncovers a harsh reality at the huge Ford Dagenham plant where she works. When the factory bosses announce that the females working in the factory’s sewing room face a drop in pay because their work is ‘unskilled’, the women are furious. Rita leads them in a fight for equal pay and equal rights, in the process discovering internal resources she never knew she had. It’s no joke taking on the might of Ford and the factory’s corrupt Union. While a few of them give up under the pressure, most of the female workers stand firm and their journey eventually inspires a generation of women right across the world. The only thing is, can Rita do her duty and maintain her happy home? 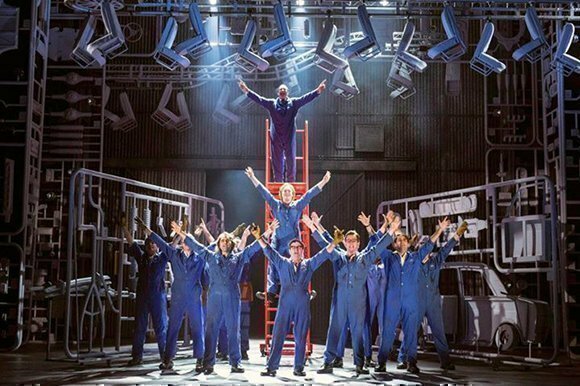 The musical has been described as hilarious, emotional and timeless, a show that reveals the power ordinary people have if they only take a stand, work together and decide to do the right thing. You’ll come out singing, feeling like you’ve been with Rita and the girls every step of the way, fighting the battle shoulder to shoulder. A lovely show with some swearing, perfectly fine unless you’re particularly sensitive. 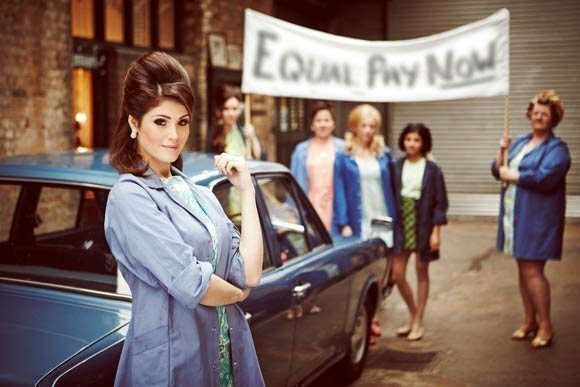 Want premium, full price or discount Made in Dagenham tickets? 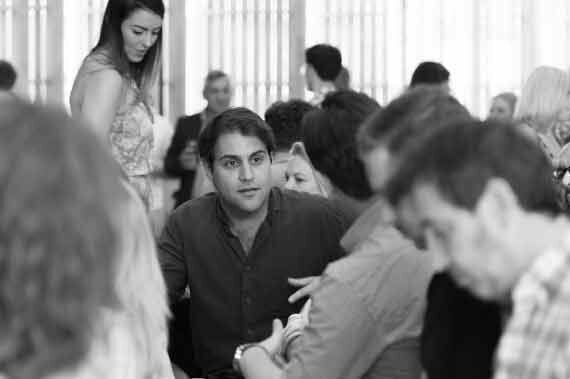 We offer excellent availability on every seat and ticket type, so click this way! 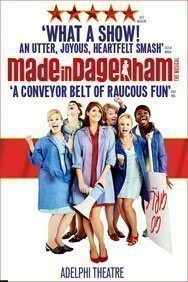 We have a great selection of cheap Made in Dagenham tickets. 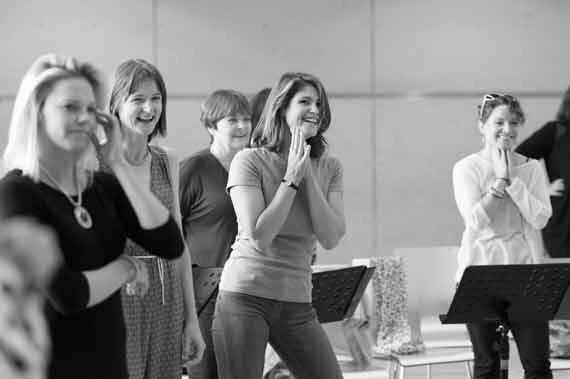 We can help you save up to 70% on Made in Dagenham tickets! 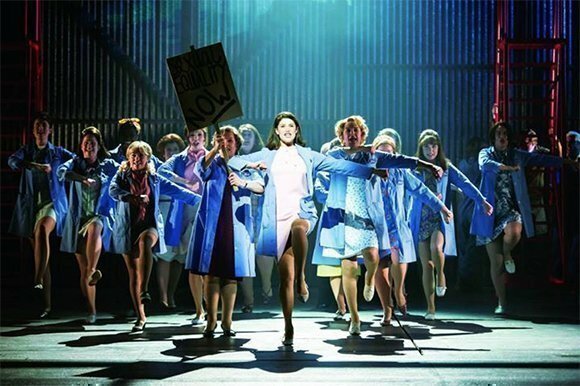 If you're looking for discount theatre tickets have a look below for our latest offers for Made in Dagenham at the Adelphi Theatre. Valid Saturday Matinee performance on 11 April 2015 only. . This musical doesn't have much in the way of memorable music, and the story is pretty much lost on anyone under 55 who for example knows nothing about Harold Wilson, Barbara Castle, the dire state of UK industry (and its cars) in the 60s. Perfectly enjoyable evening, and the audience seemed to like it a great deal: more than I would have expected really. In one word this is magnificent! Should not be closing. Too many people have missed a fabulous chance to see this show! People need to have faith in new theatre and this is a prime example of that! The best piece of theatre I have seen since Matilda and billy Elliot! Full of energy right from the start, catchy music and excellent singing, well acted, great entertaining show would highly recommend. Although some of the language is very adult I am not sure I would recommend taking children, i think they get the balance just right. I found the show hilarious in parts and serious where it was meant to be, excellent evening out ended with a standing ovation something I have not seen for a while. Great storyline, excellent performances. Liked the fact that several different performers were the lead on different songs. Performers came in all shapes and sizes, very realistic.Good set. Best show I've seen. Fantastic acting, singing, humour, and all based on a very worthwhile cause - the equality of employment pay and rites for men and women. Particularly liked Gemma Arterton and the actor who played the Prime Minister - although everyone was excellent. Have already recommended this show to friends - very glad I went. Took my daughter and the visiting French exchange student to see this recently. It has a very inspirational message, one that is still relevant today because women are held back from advancement by glass ceilings and ongoing prejudice. The French Exchange student struggled to pick up the Essex accent. 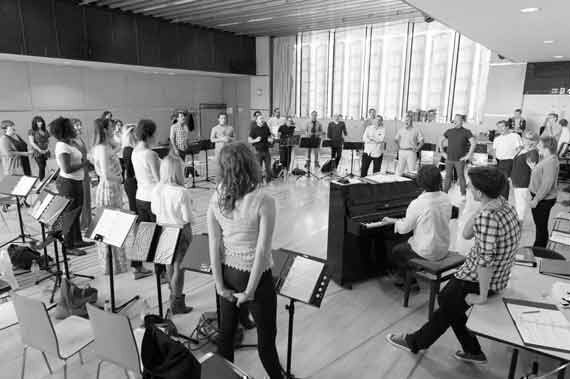 I thought the singing was very moving and rousing - it felt quite naturally woven into the storyline. The set was brilliant although there was a moment when the house moved back and rattled so much we wondered if it would fall apart. It was an imaginative retro set and brought to mind the sheets of punch out toys I used to get in my cereal box as a little girl. Loved the costuming and hair styles. Great supporting cast too that helped keep the show going. Highly recommended! I am still buzzing from the show even now. The show had me laughing with its comedy value but at times crying with its poignant message.Very professional show, great acting throughout. Would highly recommend it. A great night! The show used humor to inform about a serious time when a brave group of woman stood up for what was right. It showed the toll on their relationships, health and the sacrifice of financial impact on their families. The set designs were very clever. The jokes were so fast in the beginning that with the heavy accents was a little hard to catch. I liked the show so much, I would like to go again before show expires. It should stay on until everyone has a chance to see it. Based on a true story, lots expletives, very entertaining, going to buy tickets for my aunty (from Essex). Do not miss this show, fabulous performances from all the cast, excellent witty dialogue and amazing set and clothes. Loved every minute, laughed and cried. Congratulations theatre at its best brilliant lyrics and singing wonderful. Such a shame this is closing next month. If you get the chance, go to see it. A great feel good show and you really get to know the characters. Fab. The sets, acting and costumes were all spot on. A very entertaining show that doesn't lose the importance of the underlying message about equality. EXELLENT PERFORMANCE,ONLY NEGATIVE WAS COLD AIR BLOWING DOWN ON US AND OTHERS. We felt that the show lacked something which would make it a first-class production. The clue to this was probably in the price of the seats, which were considerably cheaper than the more prestigious shows, and in the fact that the theatre was half empty. The real downside to this show the orchestra seemed to be trying to drown out the singers, the music was far to loud. Fabulous! Can't see why it is ending so soon. Really loved this show, a wonderfully funny production of an important and pivotal moment in female equality. Gemma Atherton was brilliant, as eere the rest of the cast, great chemistrry on stage and a very good score that sticks in your head! Couldn't fault it, it will make you laugh and be proud of what the women of Dagenham achieved at the time. Go watch it! We were in London for another purpose, but booked to see Made in Dagenham while we were there. It was a fantastic performance, with lots of jokes, wonderful singing and a great story. Stand out moments were the performance of Harold Wilson, the song her husband sings when he leaves her and she's reading his note, and the song she sings at the TUC at the end of the show. Wonderful! A proper London show ! What a great show all round. Excellent story line of British workplace history. Very well written with excellent humour and a great stage set and cast. Thanks to you all for a great night. Love the theatre too. Fantastic all round , recommended to all of our friends. Who thought Dagenham could be so good? Loved the show. The music and lyrics were great. Although it was hard to hear some of the lyrics at times. It would be good to be able to get the cast recording on DVD or digital which it appears is not available. Top notch performances and music. Recommend. A fantastic show. Not advisable for young children or persons offended by swearing. Amazing show, good story line and well put together. This show dos not disappoint for a Valentine's Night! A very funny show and enjoyable evening out. The show was fantastic the minute the curtain went up. It was funny sad happy and uplifting all the way through. A truly mind blowing show. Brilliant show - go go go! Sat in the stalls row P was ok but the theatre isn't sloped so tall people in front is a pain for shorties like me! The show was brilliant, acting, singing, audience interaction and music. Id recommend it to anyone because the story applies to all age groups. Equality is a continuous fight everyone should be aware of. Language isn't appropriate for children. Very funny, brilliant music, lots of fun! Get as good a seat as you can. The theatre rake at theatre is poor. I am 6 foot and 2 people in next 2 rows in front restricted my view. Stupendous story. Harold Wilson and ' baddie' American stole the show. 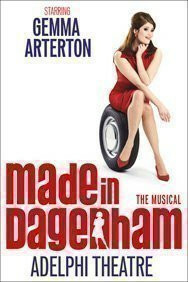 Songs so good - will always remember 'made in Dagenham, laid in Dagenham, cats spayed in Dagenham'. Thoroughly recommend though have to put up with regular use of 'f' word. Can't rate too highly. Show very well put together,acting good,very funny in parts but some strong language not a family show.More geared to couples and regular theatregoers.Overall very enjoyable I woul give it 4 stars. My wife and I found Made in Dagenham to be a really enjoyable show. The storyline was a well-constructed dramatisation of the actual events that took place and the characterisation of certain key characters was excellently satirical. The musical score was superb and full of rousing numbers, whilst the performers carried off all songs very strongly. All in all, we found it to be a vibrant performance. Typical English storyline, swearing and colloquialisms. Absolutely hilarious show, and for me a little educational. Bit of swearing, but hey it was the late 60s in a car manufacturing plant in Dagenham, so don't flinch too much, unlike the woman behind me who let out an audible gasp at every F word! Amazing songs, singing and choreography!! Enjoy. Best Show I have ever seen!! Be prepared to love every minute. Beautifully scripted with perfectly timed and expressed swearing - occasionally. 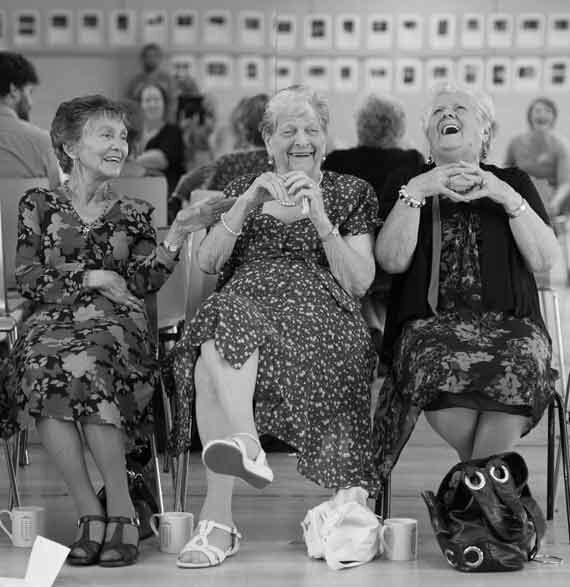 Laugh out loud moments in abundance. Great characters. Fabulous talent. Great set and scenery changes. Want to go again already! Amazing show, had a horrible seat first time, couldnt see anything much, horrible noisy people near me, this time fantastic seats and so enjoyed the first class acting. Now my 2nd favourite show in the West End, only beaten by Book of Mormon. Musical score is great, I could feel myself welling up in the song sang by the husband as he has left Rita. Dagenham Girls Strike it Big! The show dealt with a political issue in the 60's. The songs were authentic in that they evoked music of the era. The issue was important and resonates with the struggle for education for girls and wider women's rights today. A funny script, good singing and acting and seamless movement between scenes with good scenery made for a very enjoyable afternoon. What a show a must see !!! Absolutely fantastic.The cast were brilliant, Gemma Arterton was amazing and the music was great, loved every minute of it. There was some swearing in the show but it was all in good humour. A great afternoon at the Theatre! I really enjoyed the show, being a Londoner I associated with the story, working Mums, night out at the local pub/ club. Loved the costumes & scenery & enjoyed the humour. Some people may be affendid by the swearing if they were a bit prudish, but it fitted in with the story & I thought it was great! Something for everyone. Funny, uplifting and touching. Along with Gorgeous Gemma all of the supporting cast were superb including the tea lady. Watch out for Harold Wilson. Little did these ladies think that their protest about being paid unskilled wages would lead to the equal pay act. The musical is full of humour with Harold Wilson portrayed as a buffoon. Wonderful from start to finish and a message for all lest we forget what these women achieved. Successfully recreates the mood of the time! I was looking for a musical with some proper British personality,and boy did I find it. When I saw my seat had been moved from the upper circle down into the dress circle and most of the other theatre goers were older - I started to get concerned. But then the show started. Everything about Made in Dagenham was brilliant. The sets were out of this world, the cast was out of this world, the songs amazing. And I feel like I learned something. I laughed often, I cried and I left wishing I could go back and watch it again and again. Great presentation of the story, gets across the attitude of the day in a fab musical, loved it. Good show quick changes . Fast made you chuckle . Loved Harold Wilson . Fantastic show. Atmosphere in the theatre was brilliant. A great evening! Although it captured the era in which the show covered, there was quite a bit of swearing. While it didn't bother me at all, younger families may feel awkward. Fantastic show. The whole cast is great and Gemma is a revelation. From the story to the music it's uplifting: if you don't leave with a smile you should check your pulse. Also extremely funny as long as you are broad minded! this show was superb i loved it from start to finish. so much more enjoyable than wicked which i have seen recently. i would love the music cd from this show dont know if there is such a thing? my only advice would be do not sit in the front row as you will get a sore neck looking up at the stage . i would reccommend row B or row C.
Excellent show - lots of humour. Historical interest - very wittily portrayed. Not suitable for under 12 due to swearing. A brilliant night out.. V v British! What a joy and fun show. All women should love it! Enjoyed the show very much. Good mix of music, humour and fact. Lots of interesting characters including the leading couple, the roles of Harold Wilson and Barbara Castle, and many others. Swearing might put families off. The show was uplifting and funny, singing was excellent, a very enjoyable afternoon. Absolutely loved the show. A great story with fantastic performances all round. The actress playing Barbara Castle was particularly good. A real 'feel good' and definitely witty going. Not suitable for younger children, quite a bit of swearing, but a great show. My sister and I thought this was such a great show, funny, touching amazing vocals with geat songs. The cast where fantastic all the members of the cast made this a memorable evening one of the very best musicals we have seen. The attention to detail from the costumes to the sets was so authentic. Well done to all involved. It was a very memorable and enjoyable evening out, I recommend it for anyone who wants more than just words and music. The musical reminds us all of the fight for equal pay for equal work and the resistance from fellow workers, employers and politicians. The language is blunt and makes good fun of all the guilty parties..The set is very impressive and changes throughout the performance. There is a painful direct relevance to politics and struggles today. The whole experience was excellent from collecting the tickets through a truly memorable performance. Having enjoyed the film and coming from a Ford family, I was most impressed with the additional facts relating to Ford and Essex that were introduced. Most impressed with the researchers. Made in Dagenham was great fun, the story is fantastic and the singing was amazing! Left the theater on a high after the energy of the performance! The show was a great realy enjoyed it. The only issue Is I would not recommend for younger children due to some of the swearing in the show. 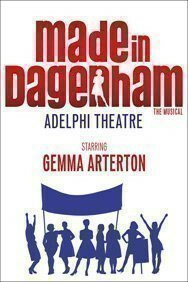 The new British musical adapted from the screen, Made in Dagenham has posted its notice at the Adelphi Theatre. 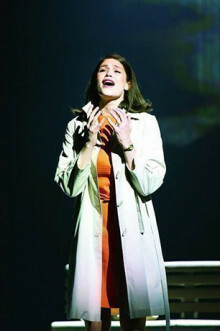 The acclaimed production starting Gemma Arterton will play its final performance on 11 April 2015. A show full of working class, no frills energy, but at times it needed reigning in. Well done to the women, both for what they achieved and the actors’ performances – the men need to catch up here. Musicals that are based on films are popping up all over the West End at the moment. Maybe these shows are trying to emulate some of the success of the West End gold standard Billy Elliot, which has made the successful transition to the stage after being an iconic film that I and love. Well it’s time for another production to tell its story and hope to gain a piece of the glory – taking over from The Bodyguard, I went to see the Adelphi Theatre’s latest offering. 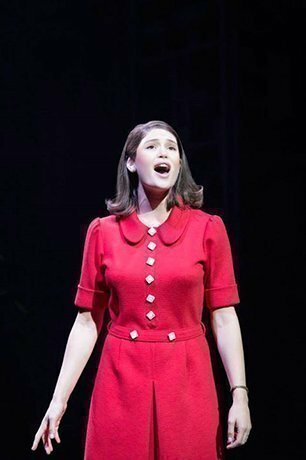 New musical Made in Dagenham has announced the rest of the cast that will join Gemma Arterton on stage at the Adelphi Theatre. David Cardy will play Monty and Isla Blair will take on the role of Connie in Richard Bean’s adaptation of the BAFTA winning 2010 film. 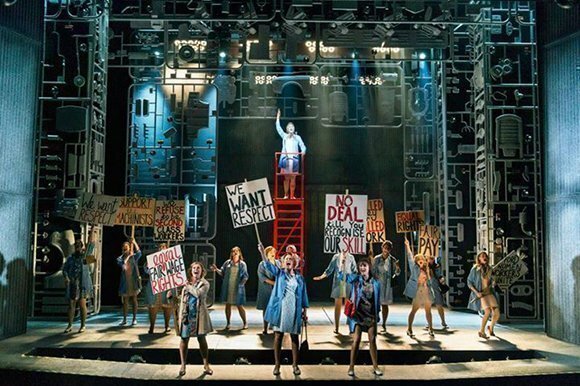 It’s great to hear the musical based on the film MADE IN DAGENHAM is going ahead. 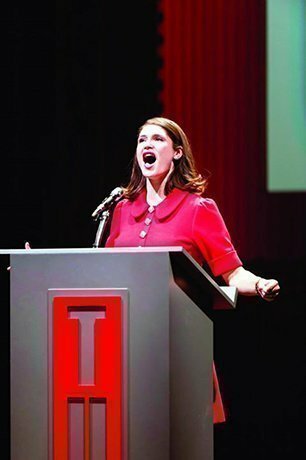 It opens at the Adelphi Theatre in November starring Gemma Arterton as a trade union leader and is directed by Rupert Gould. I’ve been excited to see it since I heard gossip about the workshop from people who were there. 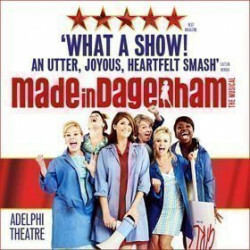 Use the search box at the top left of this page to search for Made in Dagenham tickets availability.